Tom Wolf’s Administration announced the formal opening of service at one of the 29 CNG fueling stations planned as part of a Public Private Partnership (P3). Officials from PennDOT, Trillium CNG, and Lebanon Transit marked the start of fueling at the facility, located in Lebanon. “This innovative program is helping transit agencies save on fuel costs while allowing them to move to a cleaner burning fuel,” said Governor Wolf. 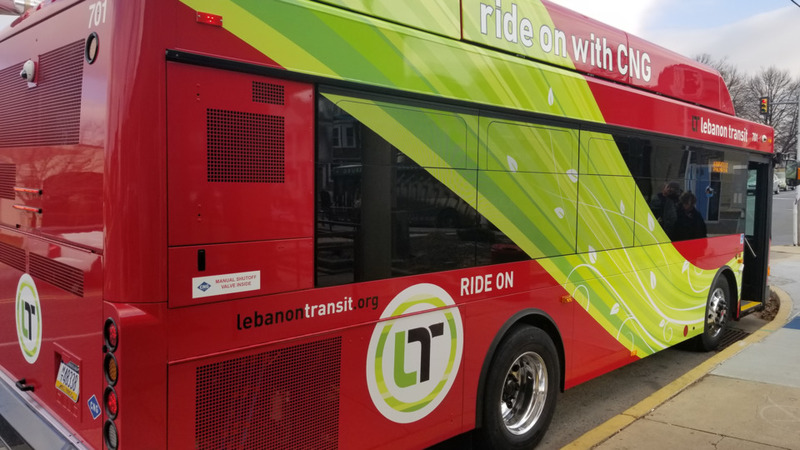 Under the program, Lebanon Transit will convert eight buses to CNG. The authority estimates saving roughly $50,000 annually based on current diesel costs and their diesel usage of roughly 35,000 gallons per year. When the project is completed, the fueling stations will supply CNG to more than 1,600 buses at transit agencies across the state. PennDOT’s overall P3 project also includes CNG fueling accessible to the public at six transit agency sites, with the option to add to sites in the future. PennDOT will receive a 15% royalty, excluding taxes, for each gallon of fuel sold to the public at public sites, which will be used to support the cost of the project.